The book and e-book have identical content. Select any of the items below to preview the contents of this book. After the Essential Skills course you’ll be really, really good with Excel. 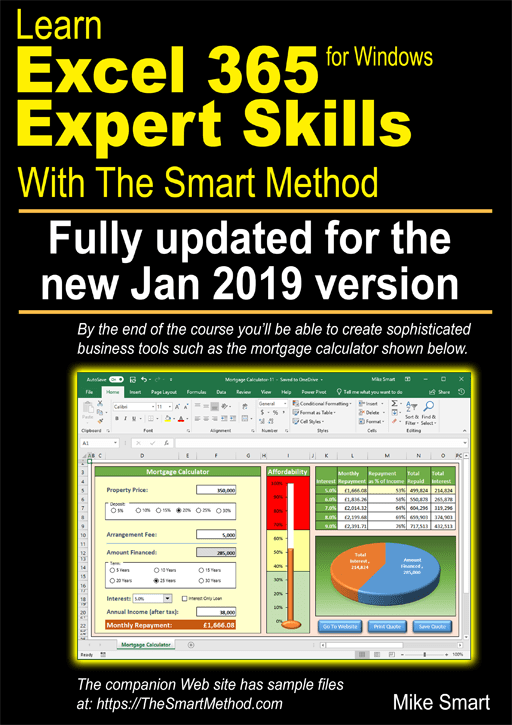 If you then want to join the tiny elite of power-users who can do absolutely everything with Excel you can take this Expert Skills follow-on course and become a true Excel guru. By the end of this book your Excel skills will be greater and broader than almost all other Excel users in the workplace. Also available for Excel 2007, Excel 2010, Excel 2013, Excel 2016, Excel 2019, Excel 2016 for Apple Mac and Excel 2019 for Apple Mac as both printed books and e-books.